Finally, I found the perfect solution for my hot flashes and menopause crisis. See my suggestions below. 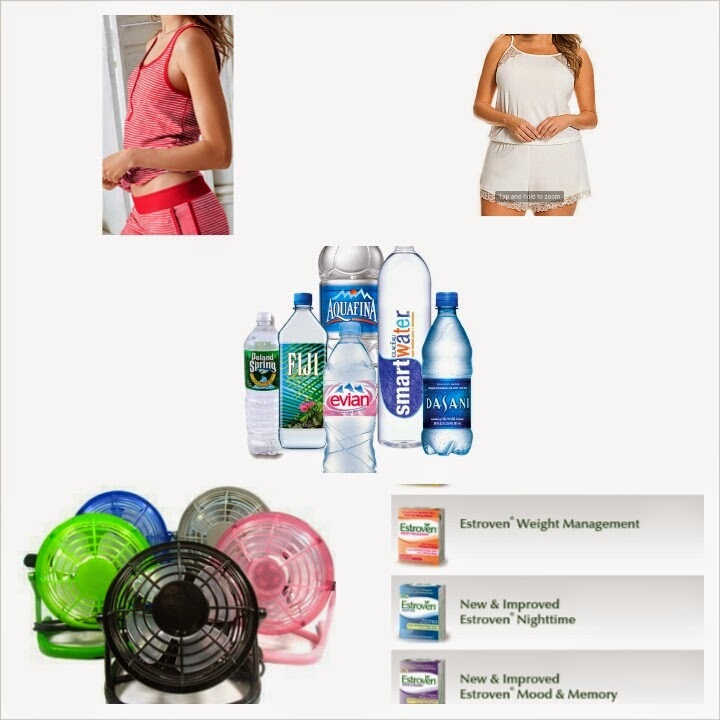 So that your cute factor is still maintained, I suggest these cute boy shorts and tanks, Water, a small desk fan and Estroven.